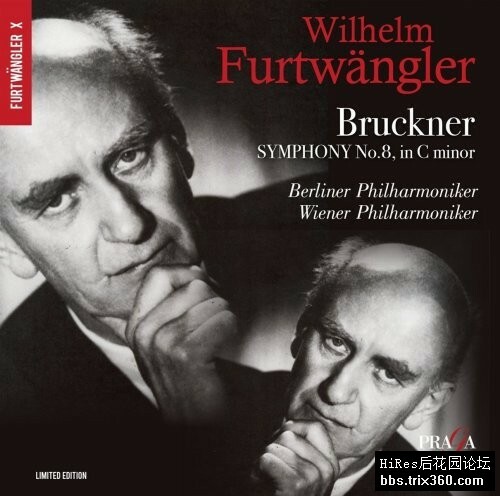 Furtwängler has left us with four live concert recordings of this fabulous symphony. Only two are really illustrating his daemonic inspiration, protean, ever changing with his symphonic molten lava. Many connoisseurs consider that his most unforgettable performance was that of 17th October 1944 in Wien. Remastering in SACD, these first two releases can be compare for the best with the Berlin Philharmoic and Vienna Philharmonic: protean, ever-changing, symphonic molten lava, Bruckner as daemonic inspiration instead of cosmic consolation. A true ‘apocalyptic’ symphony, ‘wagnerian’ in Berlin, near wild in Vienna.